HÀ NỘI — The number of new enterprises established in the country has gone up and the inflow of foreign direct investment into the country has increased, but the quality of national growth remains unaffected or diminished. After several decades, officials have begun to highlight the discrepancy between quantitative and qualitative growth, showing that an increment in the former does not lead to an improvement in the latter. Nguyễn Bích Lâm, Deputy Director of the General Statistics Office (GSO), says that despite the large amount of newly established businesses in 2016, goods and service production has yet to contribute adequately to national economic growth as expected. In a GSO financial report for the first quarter released last week, Lâm notes that 35.4 per cent of new businesses in Việt Nam are in the retail sector and car maintenance services, both of which do not generate any tangible product. Only 13.72 per cent of businesses are in the manufacturing sector, so real value contributed to the economy by new enterprises is limited. In the first quarter of 2017, economic progress has been weak, with a GDP growth of 5.1 per cent, lower than the same period in 2015 (6.03 per cent) and 2016 (5.46 per cent). “About 97 per cent of newly registered businesses are medium, small and extra small. 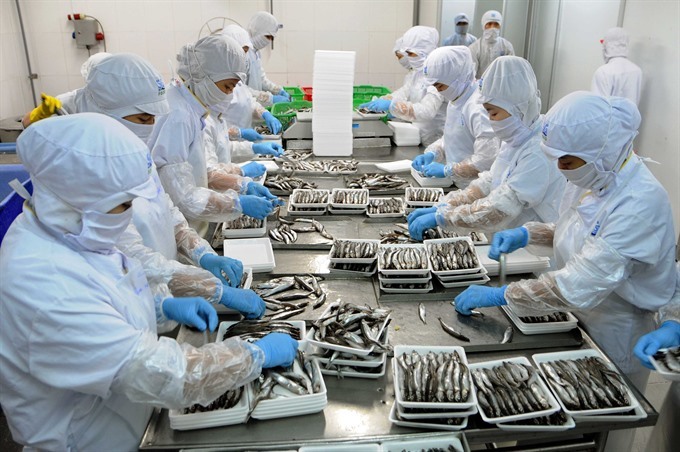 This means the average scale of labour force, capital and added value would ultimately diminish despite the rise in quantity,” said Phạm Đinh Thúy, director of GSO’s Industrial Statistics Department. The large amount of foreign direct investment (FDI) into Việt Nam does not add to economic growth either, despite having higher productivity, he said. This is because FDI businesses focus on assembling products using imported materials, instead of domestically produced ones. Furthermore, domestic businesses are having trouble competing at home against imported products from China, Thailand or Malaysia, thus generating even less income and profit. Other difficulties cited by businesses include low domestic demand, financial troubles, lack of human resources and high interest rates, which deter them from making a better contribution to the quality of national growth. In 2016, over 110,000 businesses were registered, of which 98,757 or 89.7 per cent, became operational the same year. The total registered capital was VNĐ271.2 trillion (US$12.1 billion), an 11.4 per cent increase in number and 45.8 per cent increase in capital from the year before. With another 26,478 businesses established in the first quarter of 2017, the number of newly opened enterprises has hit a record high in the last six years, according to the Enterprise Development Agency under the Ministry of Planning and Investment. However, the number of dissolved businesses remains a matter of concern. From January until March 2017, 23,904 businesses had closed down, which is about 90 per cent of newly established ones.